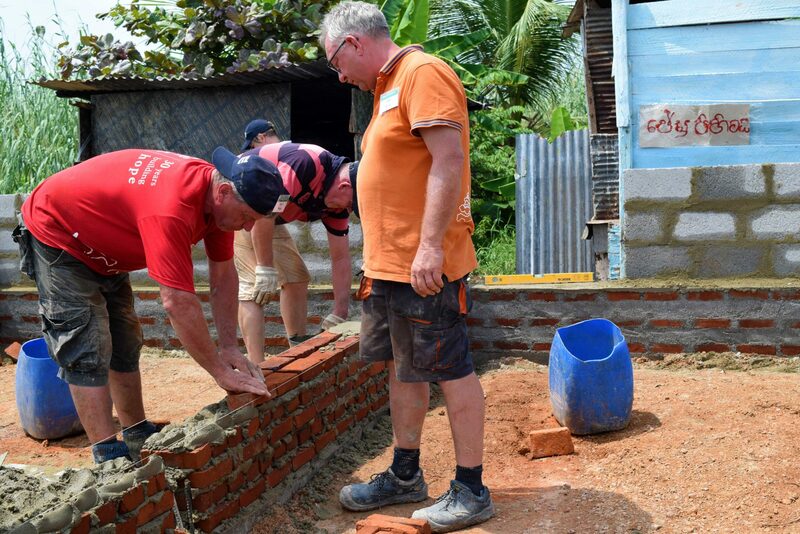 Jan Bodewes (65) has been part of 19 Global Village volunteer builds across the world, making him one of the most outstanding volunteers Habitat for Humanity Sri Lanka has had the pleasure of working with. 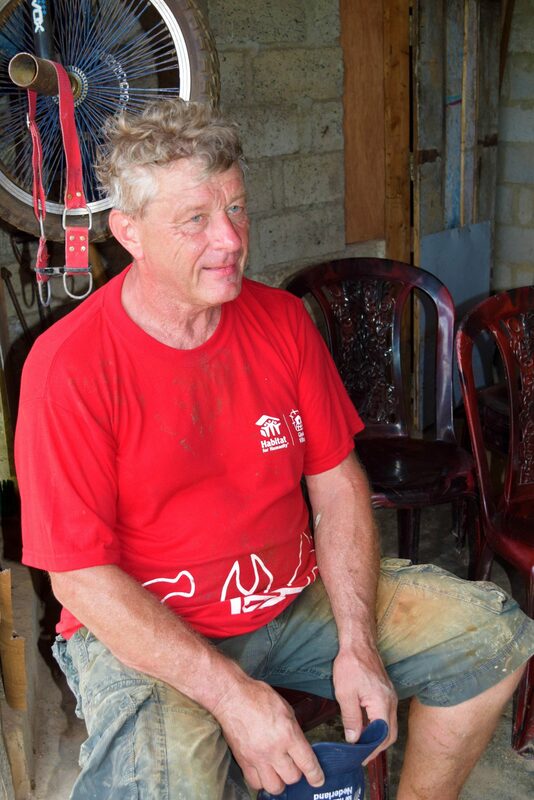 Jan lives in the Netherlands and enjoys being a husband, a proud father of two daughters and grandfather of 4 grandsons. Since he was young, he had always dreamed of becoming a skilled mason, because he wanted to be able to create something tangible. 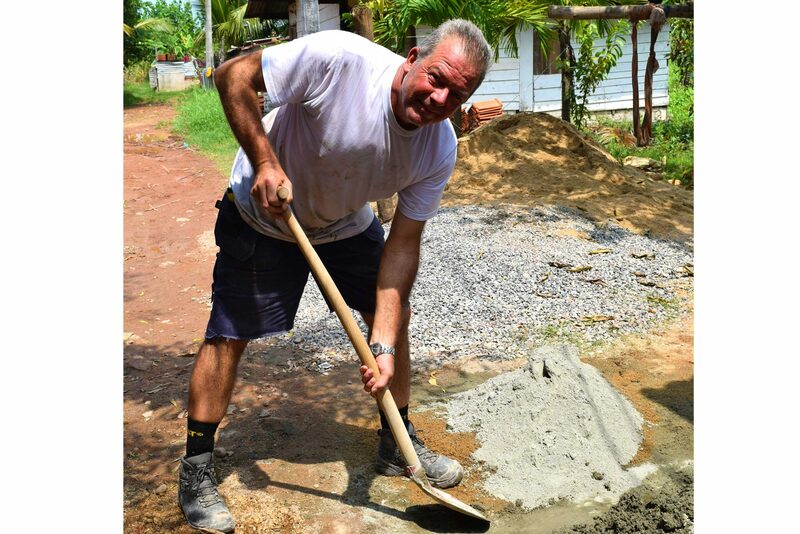 He eventually didnot became a professional mason, but went on to open his own business in construction. 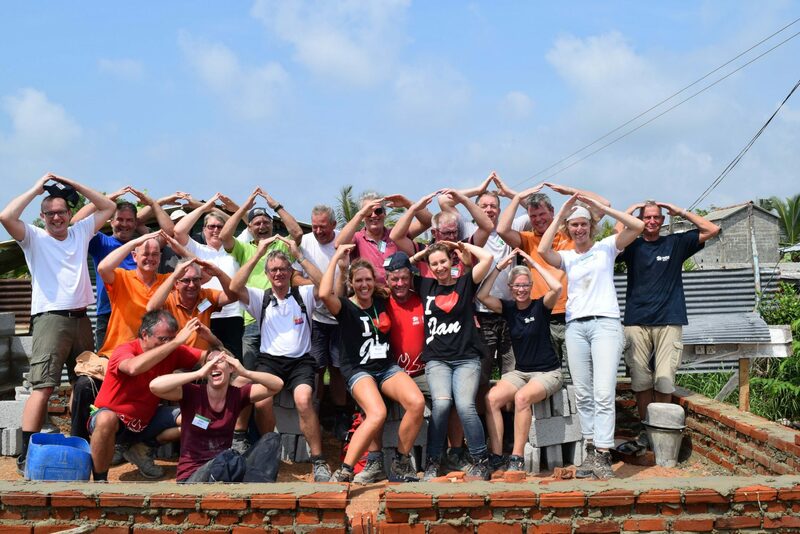 Jan’s initial GV trip was to the Philippines as young volunteer, and later he gradually transitioned from being a volunteer to becoming a team leader. 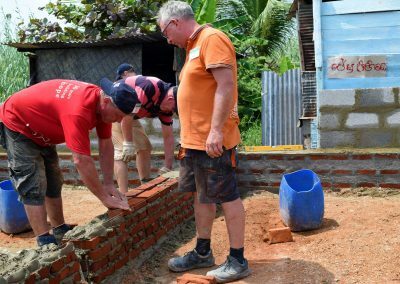 His first trip to Sri Lanka was in 2005 – in the aftermath of the Tsunami. His life changing experience in Sri Lanka made him determined to return to Sri Lanka again someday. 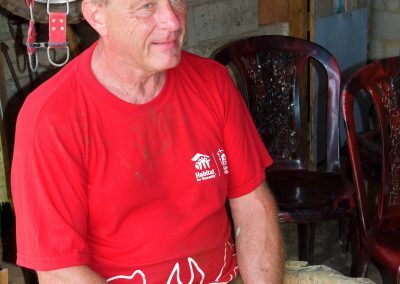 For Jan, volunteering was important because he had a yearning to make a meaningful change in people’s lives; and what better way to do this than with a home. As a team leader he is passionate about giving the volunteer teams the opportunities to experience new places and cultures while giving them great memories and also validating their efforts. He believes that he volunteers on GV trips for one particular reason; that is to make someone else’s life better. GV trips have been eye opening experience for Jan, especially by witnessing the generosity of people who have very little and yet are willing to share what little they have even with strangers. 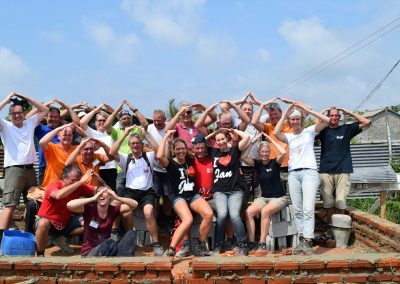 Jan Bodewes’ 20th GV trip is planned to China this year; which is a country the Netherlands volunteers have never had the opportunity to visit before. 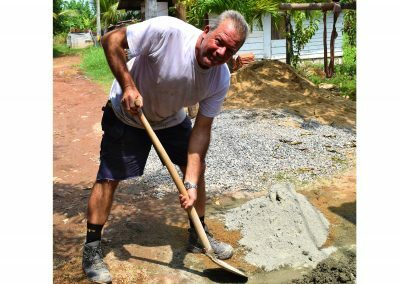 He looks back at his time as a volunteer as a truly once in a lifetime experience, and he encourages many others to volunteer with Habitat for Humanity.